Grandmas Nursery Rhymes is about sharing fun, creative and imaginative ideas with everyone. These great ideas come from all over the world. We've had folks come to us from places we never even heard of with interesting questions, thoughts and ideas. To keep the excitement rolling of wonderfully imaginative ideas, we are hosting a creativity contest. Our Diaper Cake of the Month contest is an opportunity for you to share your "baking" skills by sharing your "recipes" with all of us. Why enter our Diaper Cake of the Month Contest? And .......with the amazon.com gift card, you can reward yourself for a job well done! To enter you simply need to click on the entry form, tell us about your "recipe", upload some photos and you're in the contest! All homemade diaper cake ideas submitted to our website from the first to the last day of any given month, will be entered into that month's judging. Each submission must be homemade by you or family member. NO store bought diaper cakes allowed. 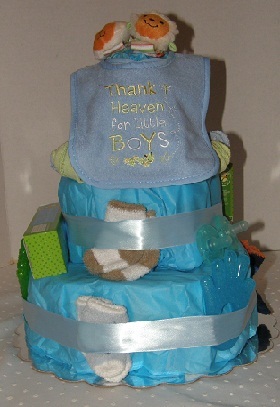 Diaper cakes do not have to be a traditional looking cake. The more creative the better! Nor does your cake have to be perfect. Diapers make for an interesting ingredient that can leave a few "lumps" in the "batter". So don't worry if your creation has a small flaw or two. Be sure to include several pictures, either of the step by step creation or multiple views of your finished product. 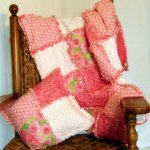 A write up about what inspired you, what interesting "ingredients" you used in your "recipe", any special tips you found helped in assembling your creation, is an important part of your entry. You don't have to include a detailed step by step "recipe", but we would like to at least have some highlights and tips included with your pictures. Crop your pictures so that the best picture possible of your cake is submitted. Front and center with the cake filling in the majority of the picture is best. Our guests love to be able to see the details of your work. The team here at Grandma's Nursery Rhymes will be judging all the entries received throughout the month once the monthly submission window closes. We are really looking forward to receiving all those incredibly fun, delightful and imaginative diaper cake entries. Click on the links below to see what other delightful diaper cake recipes have been submitted!